Show your passion on a plate. A very modern and sophisticated look with a full refrigeration option for Ice cream cakes and novelty, it is available in Deli, Pastry and 4 models in Self Serve. 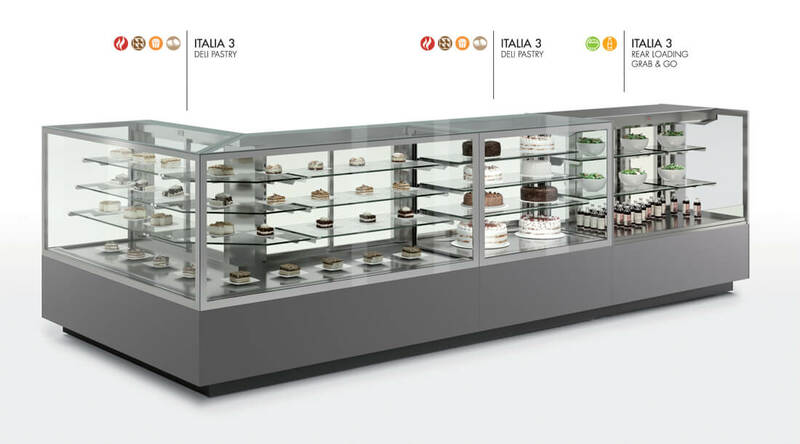 It can tie into any Oscartek™ Gelato and Ice cream showcase. It has a tilt back hydraulic front glass for ease of cleaning. Available in any Oscartek™ pre-finish. LED lighting is standard.